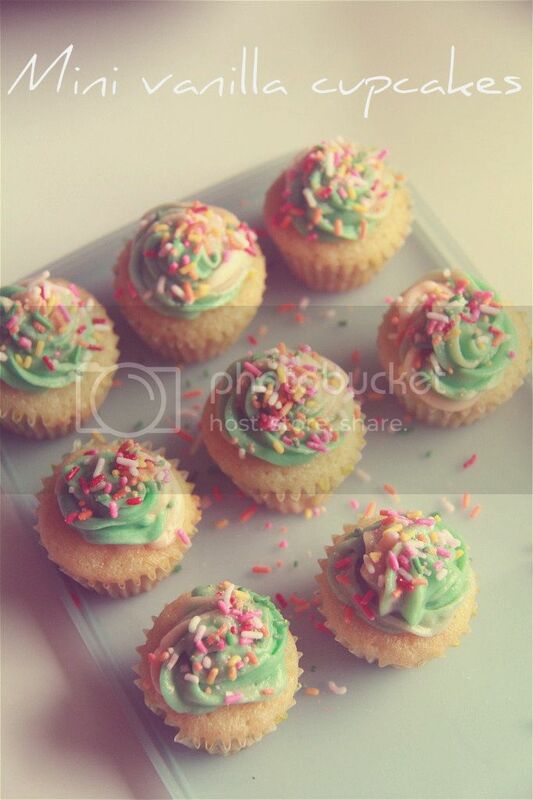 Crumbs and Cookies: mini vanilla cupcakes. 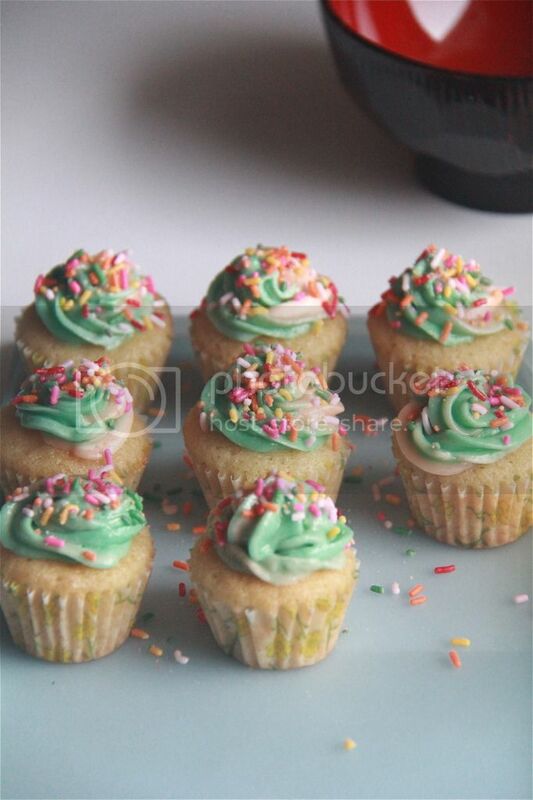 I made mini cupcakes with this recipe from Glorious Treats that I used before. I wouldn't call it my go-to vanilla cupcake recipe but it's pretty darn good. The cupcakes were light and fluffy in a spongey way and not too sweet with a perfect hit of salt. My only complaints are that the cupcake sticks to the paper liner a lot and it is a bit too soft. I would swap out the cake flour for all-purpose for a sturdier cupcake. I think there's possibly too much leavening too in this recipe. The holes tunneling through the cupcakes are pretty big. I did a two-tone vanilla frosting to go on top of the cupcakes and showered them with sprinkles just because. The frosting was sweet, as usual, and paired perfectly with these slightly-salty cupcakes. How about you? 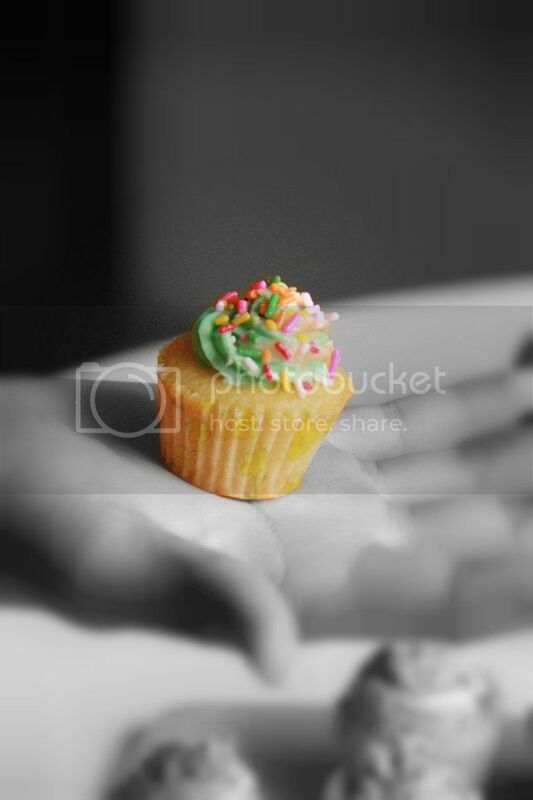 Which is your favourite vanilla cupcake recipe and what frosting do you usually pair it with? Tunneling is more likely caused by over-mixing, not from leavening. I'm glad you like them! Nope, I don't mind:) Please do!